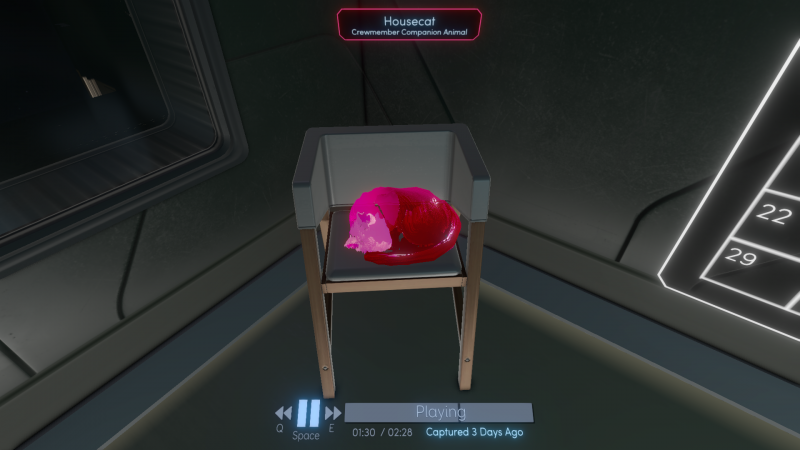 In 2013, Fullbright’s Gone Home spearheaded a new surge in narrative-focused exploration in gaming, focusing less on traditional gameplay and putting more emphasis on player directed storytelling. 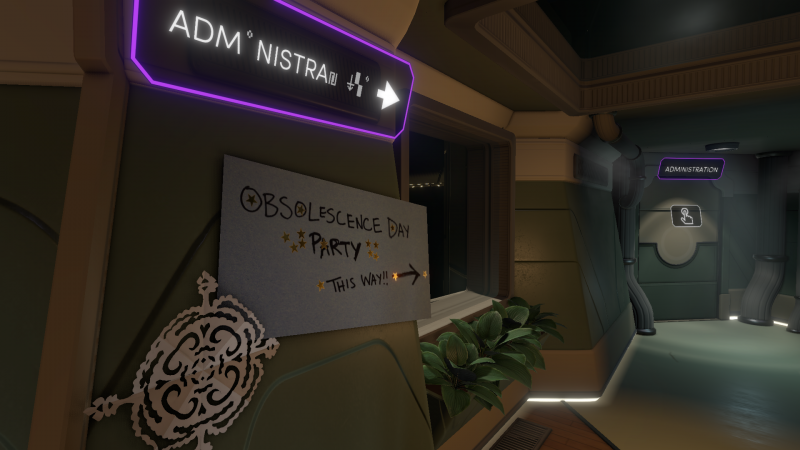 Tacoma is Fullbright’s next game, and while it may not reinvent the genre once again, it nonetheless continues Gone Home’s legacy of making strides in environmental and personal storytelling in a different light. The year is 2088, and you play as Amy Ferrier, a specialist hired to retrieve an A.I. 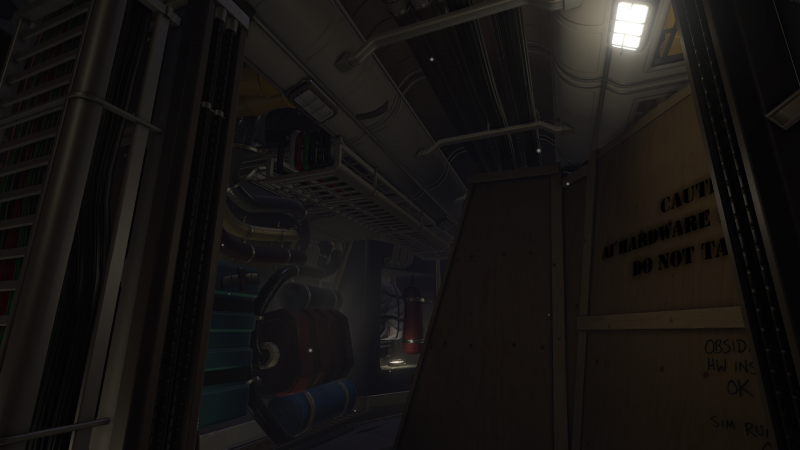 and its data aboard the Tacoma space station, where a crew has gone missing after facing perilous events. 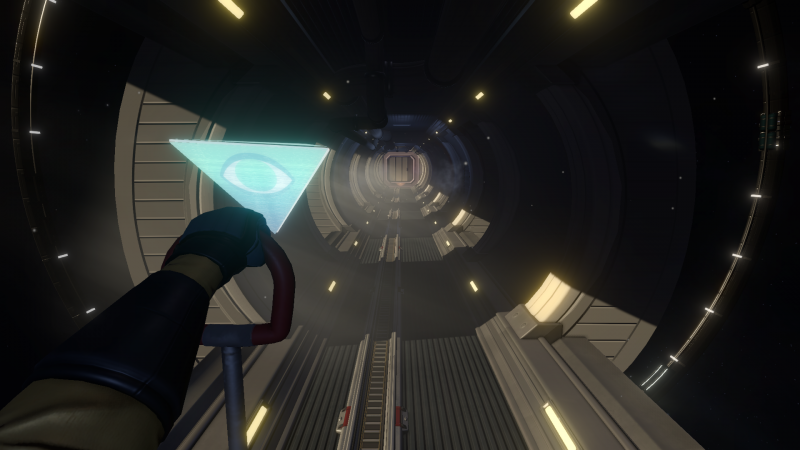 Although the station is abandoned, you never truly feel alone; you view augmented-reality simulations where the ship’s crew appears as brightly colored holograms. 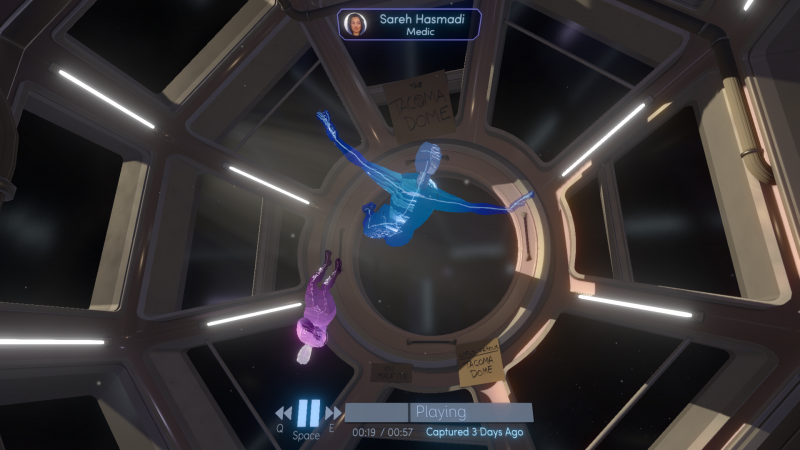 These silhouettes show what took place days prior to Amy’s arrival, and although you cannot interact with them, you get to know the crew intimately as you experience a gripping sci-fi mystery about how they faced impending doom. Some crew members are couples, and you see their relationship struggles and how they are affected when danger is imminent. Another time, I listened to a crewmember talk to his son about the hurdles with financing his academics, giving insight into their personal life. 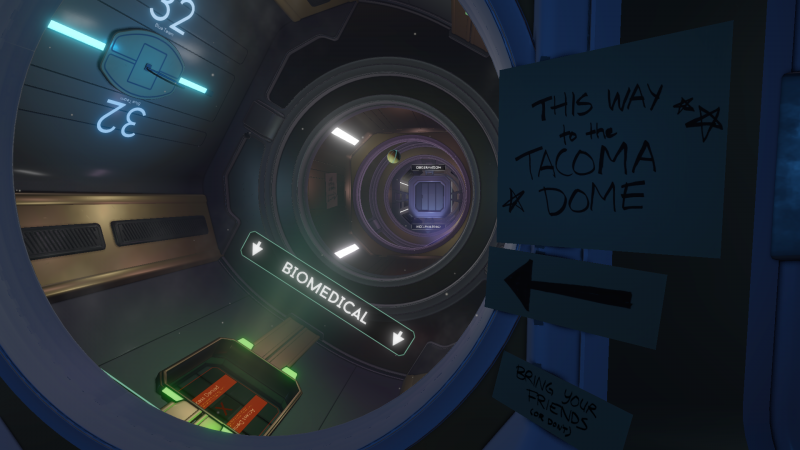 Tacoma’s storyline about a space crew’s fight for survival isn’t necessarily unique, but how it delivers the story is. 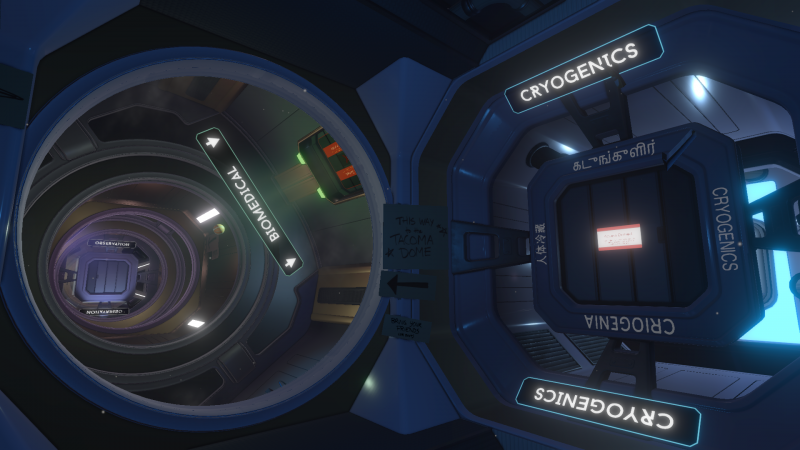 You move between sections of the space station using zero-gravity corridors, and new locations have augmented reality simulations that happen around you. I felt like a fly on the wall as events unfolded around me, which was fascinating. 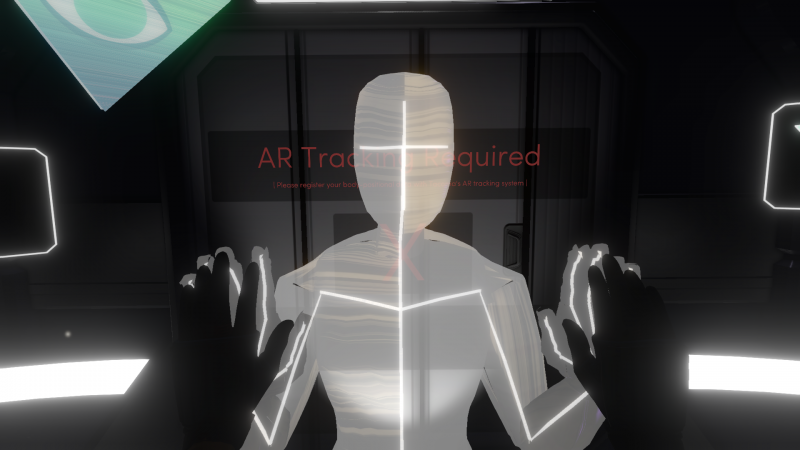 It gives a voyeuristic but satisfying sensation similar to Gone Home, where how much you get out of the story depends on how much you explore. 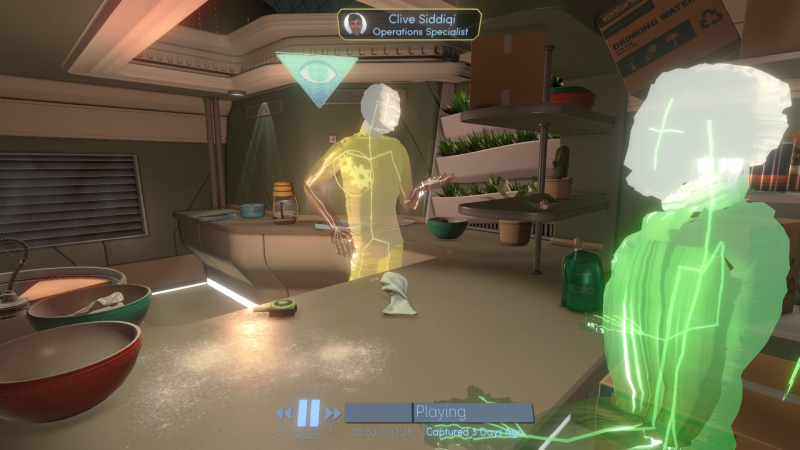 Tacoma isn’t full of puzzles or mechanics beyond basic exploration, but it’s still an enthralling experience. Your time is spent listening to conversations, reading through personal files, and overcoming minor obstacles like discovering passcodes or finding hidden keys to open locked compartments. 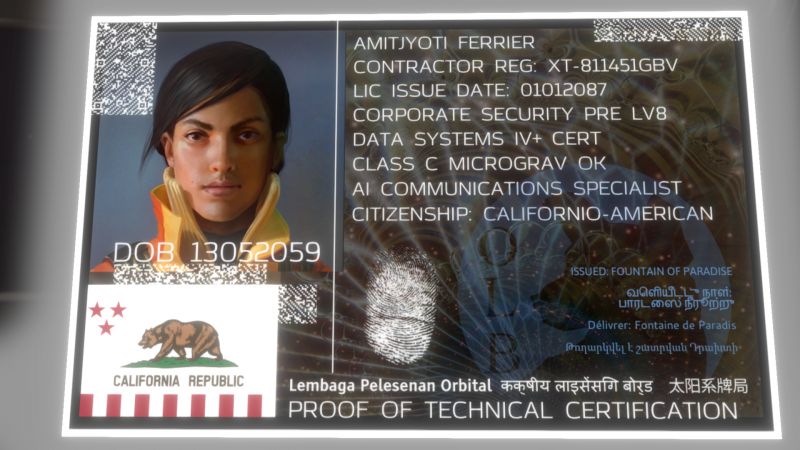 Tacoma gives you the power to play, pause, and rewind simulations. With each space I inhabited, I chose which story to follow as crew members grouped together or split up to have simultaneous but separate discussions in different parts of a contained area. For example, I can listen to a couple flirt as party preparations are happening in a nearby kitchen. If I rewind, I can instead move to the kitchen to watch other characters idly chat as they decorate a cake. This makes for a fascinating approach to branching narrative. It’s supported by a strong cast of nuanced characters with diverse backgrounds, sexualities, and identities. 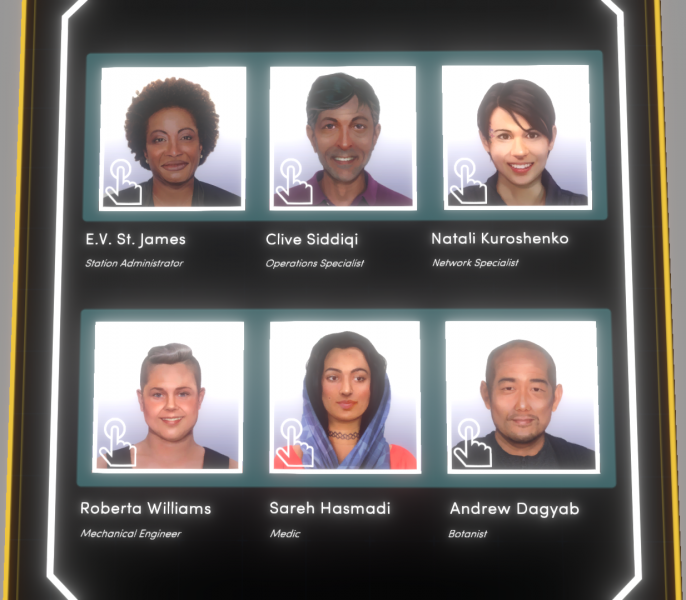 The six-member crew that was once aboard Tacoma is a colorful bunch. Some are open books, while others keep their cards close to their chest. Conversation is natural and engaging when disputes between the crew occur as they find out that they only have three days of breathable air left. How each character digests this information is different: Some are quick to take initiative for survival, others panic after trying to stay composed. How each character faces their own mortality is engaging, but the narrative doesn’t always keep you on the edge of your seat. The focus is more on relationships among the crew, who they are as people, and how disaster brings them together. 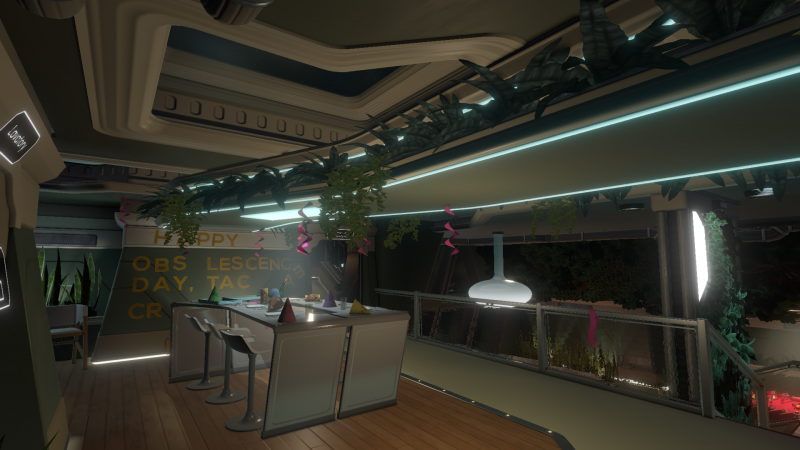 Locations feel lived in and personal, and belongings like a boy band poster or letters to loved ones can paint a clearer picture of a character’s background. 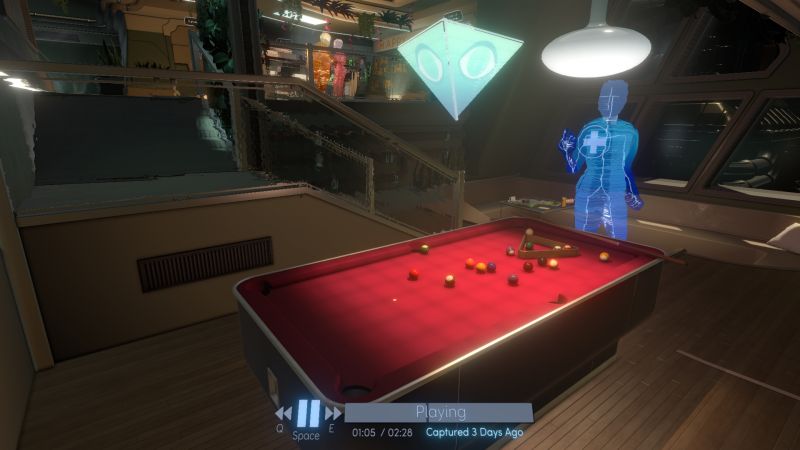 Almost every item in Tacoma is interactive on some level, which adds a layer of fun. 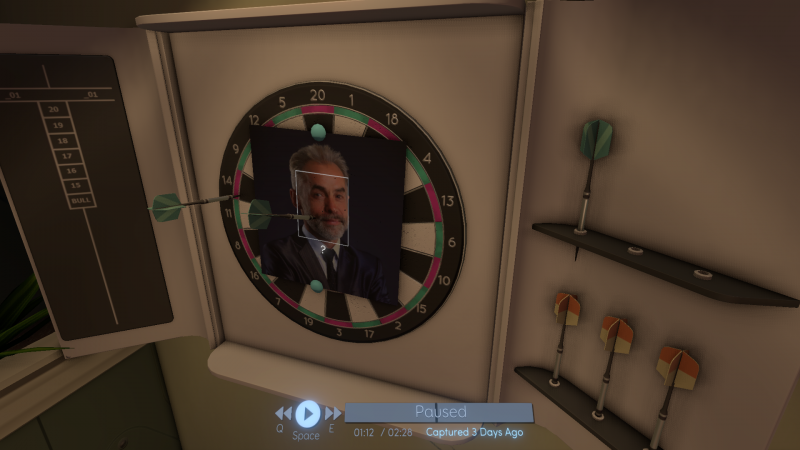 I picked up darts to throw at the target of a CEO’s face, and picked up a skull to complete a skeleton’s body in another room. 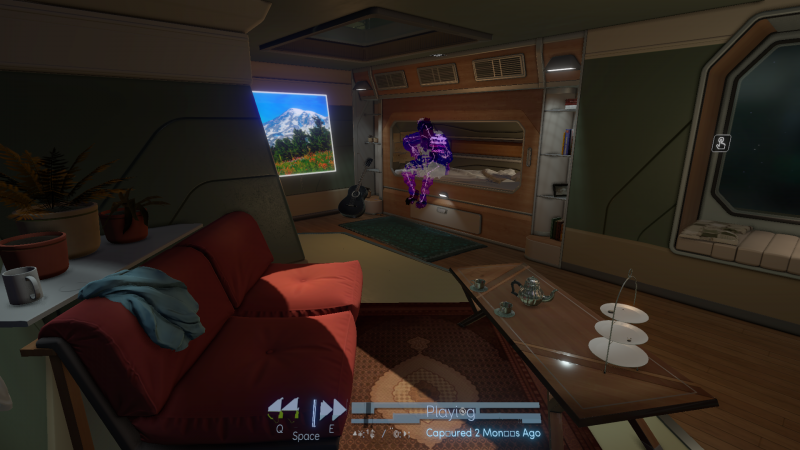 These moments are small, but they helped me immerse myself into Tacoma’s world. 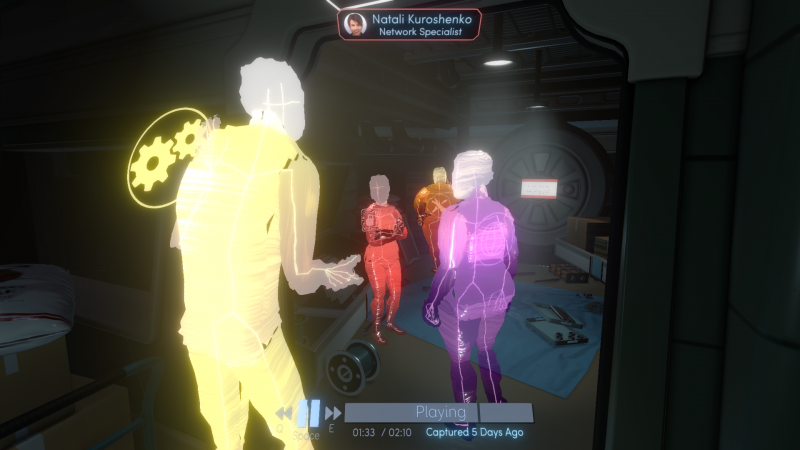 With Tacoma’s unique take on branching narratives and a strong cast, it manages to tell an intriguing tale about mortality and relationships in the face of catastrophe. 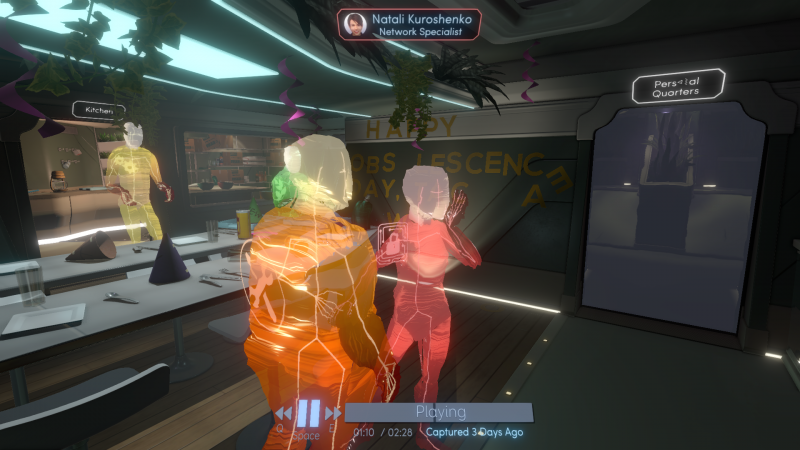 Tacoma builds on the foundations of Gone Home, but has its own unique tricks to tell an immersive story in a compelling way. 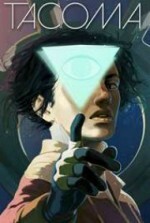 Tacoma tells an intriguing tale about mortality and relationships in the face of catastrophe.